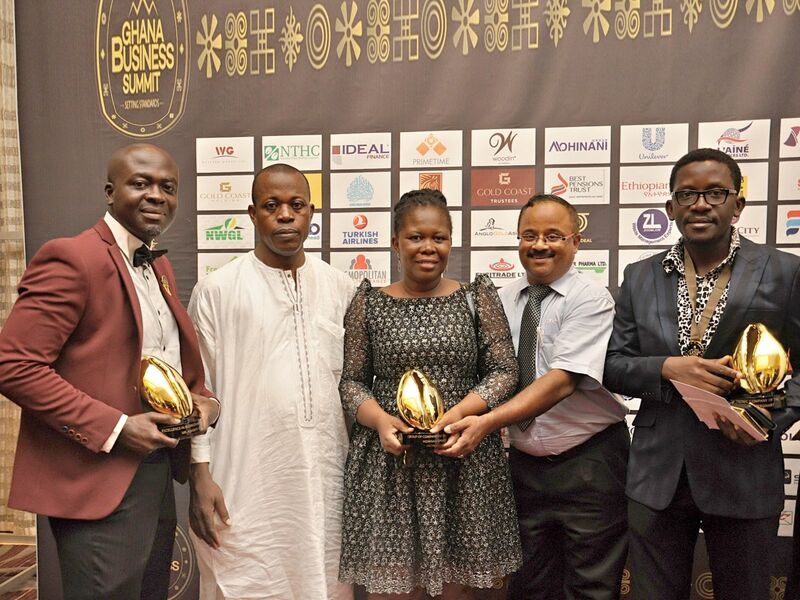 Accra, October 2018: The Mohinani Group won 3 awards at the maiden Ghana Business Awards Ceremony, a prestigious award which sought to recognize and reward individuals and companies that excelled and contributed to sustainable development within their various sectors and Ghanaian Economy. The Group’s Executive Director, Ashok Mohinani was honored and recognized for “Excellence in Business Award of the Year” at the event which took place at Kempinski Gold Coast Hotel in Accra on Friday 26th October, 2018. Commenting on the award, Mr. Mohinani said it was rewarding for the Group to be recognized for its outstanding achievements and contributions to business development and economic growth over the last 50 years in Ghana. The 2nd Award which was picked up by the Group was “Group of Companies of the Year” in honor of their commitment & drive for innovation. The “Electronic Company of the Year” was awarded to Electromart, the retail arm of the groups Trading Company –Somotex. Mr. Mohinani noted that as a Group, they are committed to drive & champion innovation, industrial leadership and sustainable growth across all operating units in and outside Ghana. “Our Operations spans across Africa, Europe and Asia and we will seek to relentless provide the best of services & products to satisfy our customer needs“. The Groups international expertise brings to bear the best global practices and in-depth understanding of the local environment which means that their brands thrive as sector leaders, bringing together the best of both worlds to their consumers. Mohinani Group prides itself in offering the best and most trusted brands both locally and internationally. Our local brands include Polytank, Electromart, Bruhm and Cougar while internationally we trade and represent some of the largest and most credible global brands such as LG, KFC, Protea by Marriott, Bajaj, Index, MRF and Boxer” he added. Mr Mohinani was optimistic that the Group will continue to invest in technologies that improves the living standards of it consumers. “We continue to offer warranty and guarantee, assuring shoppers & consumers of our commitment to providing high quality products and services”. The Group’s retail arm for consumer electronics continues to offer world class aftersales service support and enhanced shopping experience across all 20 Electromart retail shops. The global footprint for Electromart has seen tremendous growth with the introduction of the online shop (www.electromart.com.gh), Consumer Finance payment option and Point Building Loyalty Card for Free shopping any day and anytime. Mr Mohinani said the awards was an indication that the Group was delivering exceptional, innovative and quality products and services that were meeting the needs of both the local and international markets. “Our Appreciation to the team, customers, partners and all stakeholders for their hard work, commitment and loyalty to Mohinani Group and all affiliates” said Mr Mohinani.